The Great River Road connects you with some of the best birdwatching opportunities in the world. The Mississippi Flyway is the migration route followed by 40% of all waterfowl and shorebirds in North America. Vast wildlife refuges, state forests, federal forests and parks protect the habitat and food sources these birds depend on. During the spring and fall, millions of birds, from tiny warblers to giant white pelicans, make their way along the Mississippi River. Bird enthusiasts of all ages will love Minnesota’s National Eagle Center. The Upper Mississippi National Wildlife Refuge stretches for 261 miles through Illinois, Iowa, Wisconsin and Minnesota and offers some of the best birdwatching in the world during the spring and fall migrations. Click here for more information on birds of the upper Mississippi River. The Mingo River National Wildlife Refuge in Missouri is a complex of forests, bluffs and wetlands, the perfect setting for birdwatching. The White River National Wildlife Refuge in Arkansas might be home to a remnant population of the ivory-billed woodpecker. See wood storks, ibises, yellow rails and other rare birds in Louisiana. Enjoy unsurpassed birdwatching in Mississippi’s Theordore Roosevelt National Wildlife Refuge. 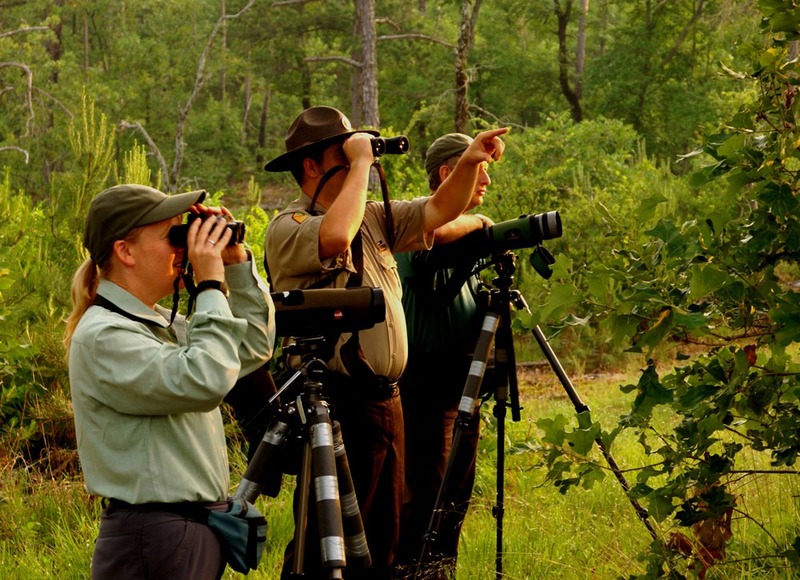 Or, go birding in Tennessee’s Chickasaw National Wildlife Refuge. In Kentucky, birdwatchers should not miss the Clarks River National Wildlife Refuge, with its bottomland forests of cypress, oaks and tupelo gums.